For most of the 19th and 20th centuries, the Bishops of Rome were saintly scholars and heroic pastors who inspired great devotion among Catholics because of their radiant goodness, and for the Church to have the service of such men is a great blessing. But in that blessing lies a danger. When we have so many valiant shepherds on the Chair of St Peter, one after the other, we can forget that many scoundrels and notorious sinners - to say nothing of average men of modest ability - have also served as popes, and that forgetfulness opens us to undue distress when a pope comes who doesn't measure up to his predecessors. 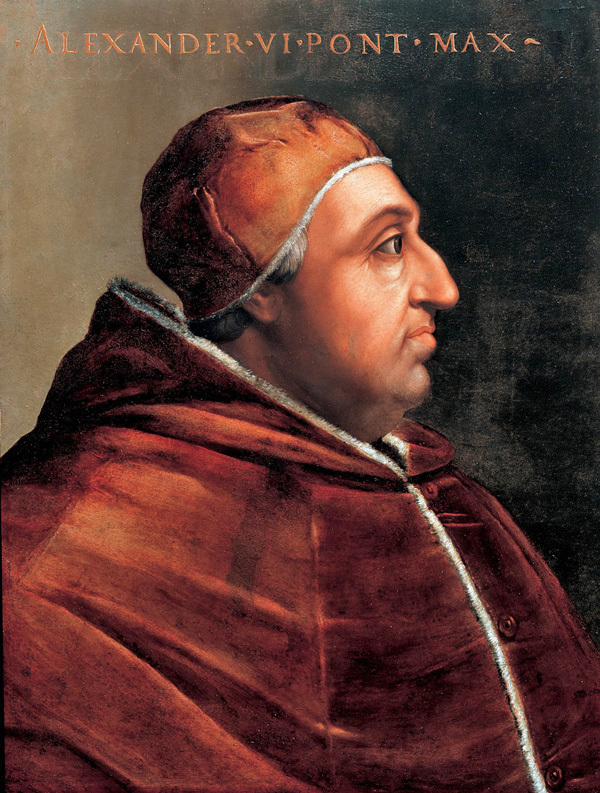 Pope Alexander VI - Rodrigo Borgia, pictured above - reminds us that the office of the papacy can certainly survive and in some ways even flourish when occupied by a man who is manifestly unfit to be the Pastor of the Universal Church, and that knowledge should console anyone who is troubled by the character or actions of a man who sits on the Chair of St Peter but seems ill suited for that office. And that is true not only of the papacy but also of all political offices. The two persons most likely to be the next President of the United States are clearly and hopelessly unsuited and unsuitable for that high office. Whatever one's political convictions, it is surely possible for us all to admit that Mr Trump and Mrs Clinton are both people of low character and that neither of them can be described as honest, virtuous, or wise. That our two dominant political parties should produce such candidates for the presidency is a pure sadness and a sign of distress in our Republic, but we must know that this country can and will survive the unhappy administration of either of these two wretches and - as with the Borgia pope - we might actually see progress of some kinds despite the manifest deficiencies of either President Trump or President Clinton. So, perhaps it would be well for everyone to bring the wailing and gnashing of teeth down a notch or two, and all people of good will should resolve to promote a more responsible exercise of political power through a wiser and more humane practice of the political process. This nation is almost evenly divided between two parties, each of which holds the other in ever increasing contempt and suspicion and both of which constantly grapple for any advantage over the other. Each seeks to criminalize the activities of the other, and both contribute to the poisonous cloud of hateful rhetoric in which one's opponents are always not just wrong but wicked. We already had one Civil War, and we do not need another - either military or political. Conservatives should understand that it is impossible to roll back the cultural revolutions of the last fifty years at the ballot box, and liberals must see that using executive or - even worse - judicial power to force on the nation what could not be accomplished by legislative action will only weaken the rule of law and fray the fabric of trust that are essential to the unity of the Republic. One way or another, we're about to have a Borgia president, but that does not mean we have come to the end of this Republic. Building a better nation is possible and would be easier if we could speak to and about each other with mutual respect and a common commitment to seek the welfare of this country before promoting the advantage of one's own party. 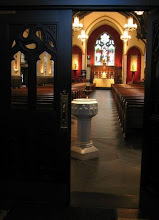 The commonweal is too important for us to get lost in the weeds of Borgia strife and excess, so let's put aside the apocalyptic language that now fills the air and work together quietly and diligently to bequeath to our children and their children a more just, more prosperous, and more civilized nation than the one we have now.